Havelaar says the Bison, with aggressive approach and departure angles, can handle a 54 per cent hill start, 21 per cent with a full load. 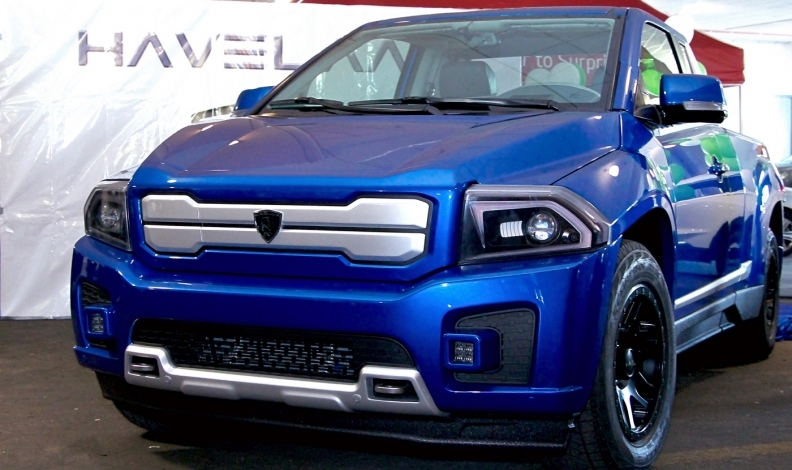 TORONTO – Havelaar Canada unveiled an all-wheel-drive battery electric pickup truck concept at the Electric Mobility Canada conference in Markham, Ont. Havelaar, a multinational company focused on green mobility with operations in the Netherlands, China and Canada, says the Bison E-Pickup will be able to operate in tough Canadian weather conditions and difficult terrain. The Bison is built with a steel space frame, reinforced with carbon fibre, offering class-leading torsional stiffness that enhances handling and durability, Havelaar said in a news release. It uses a dual-motor electric power train driving all four wheels. Havelaar says the Bison, with its aggressive angles and styling, can handle a 54 per cent hill start, 21 per cent with a full load. Underpinning the Bison is an advanced dual-motor, fully-electric power train. Havelaar says the truck has a 300-kilometre range on a single charge. Havelaar touts the Bison as the first of its kind but Green Car Reports noted electric pickups have been announced by Tesla, Bollinger and Workhorse, with the latter expected to begin production late next year. Havelaar has not revealed pricing or production plans for the Bison.